A focussed circular spray, which delivers a refreshing burst of water. Ideal for stimulating the skin or simply cleaning the bathtub or shower. 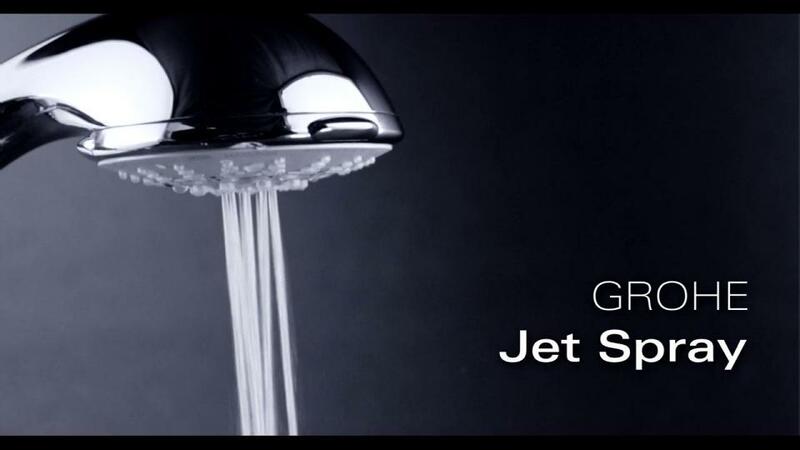 When only the most energizing shower will do, it’s time to turn on the GROHE Jet Spray. This circular spray is focused into a powerful jet that is ideal for stimulating the skin, ideal for relaxing your muscles after sports or for treatment of cellulitis. It’s also very handy for cleaning the bathtub or shower.